We are thrilled to share with you this article written by Wes Moore of IPlayerHD about Fred Light from Nashua Video Tours. Fred is the genius behind our listing's' videos and photos. We are pleased that so many other people appreciate just how talented Fred really is and we are happy to partner with him to help showcase our client's homes. Fred Light. If you’re a professional real estate video pro somewhere in North America, you likely know that name. He’s the most widely known and respected residential property videographer in the United States and Canada. You might even know him if you are Down Under or in New Zealand. For many, Fred Light’s work is the standard by which all property videos are measured. Soft-spoken, highly confident and knowledgeable, Fred is exactly as he is billed – a true expert in his field. He’s also a really good guy. We are thrilled to share with you this article written by Wes Moore of IPlayerHD about Fred Light from Nashua Video Tours. Fred is the genius behind our listing's videos and photos. We are thrilled that so many other people appreciate just how talented Fred really is and we are happy to have been partnering with him to help showcase our client's homes.So how does a guy from Bettendorf, Iowa, a small town on the Mighty Mississippi once known for the largest aluminum mill in the world, end up in Nashua, New Hampshire, on the much smaller Merrimack River, shooting real estate videos? Well, in a zig zag pattern, that’s how. In Iowa, he owned furniture stores which led to a roommate service. That led him to Boston because his siblings who had moved there told him the roommate business was booming. It seems Boston is a college town – think Harvard, MIT, for starters, and lots more. Lots of folks looking for places to study, sleep and party. Fred made a killing. Along the way, he learned a bit about the real estate business and made a few friends. Like any entrepreneur worth his salt, Fred got bored and itchy for something new. Something different. There was this thing that came along in the early 90’s called the Internet. Well, the military, Al Gore and a few others knew about it for years but most of us heard about it for the first time in the early 90’s. Seeing an opportunity, Fred began building websites for realtors. Lots of realtors. But not every realtor thought websites made sense. In my conversation with Fred, he told me it was not uncommon for him to hear a realtor say “Fred, no one is going to buy a property on a website.” Chuckle. Chuckle. They said something similar in 1927 when the first talkie, The Jazz Singer, was released in Hollywoodland. No one will want to see talkies. A decade later, it was the same with films released in color. Who could possibly want to see a film in color? Fred defied the naysayers and became a very successful real estate agency web developer. A recent video that Nashua Video Tours created for Suzanne and Company featuring a luxury listing in Lexington, MA. Let’s fast forward to 2003. Video is slowly making its way onto websites. Seeing the future of video and despite the folks who did not see a future for property videos, Fred bought his first camera. A star is born. At that time, I also owned a website dev business, MooreCast, though our customers built their own websites using online tools we provided. At the time, video on a website had to be delivered in different formats including QuickTime, Windows Media and Real Player. To see the video, a website visitor had to have at least one of those players on his or her machine to see the video. And, as you may remember, the players were very small as resolutions were anything but HD. Videos had to be low bitrate because most of us had dial-up internet. DSL was around but it was also painfully slow. Like me, Fred cut his teeth in the earliest stages of web video. This kind of teething was painful but you’ve got to lose the baby teeth to make room for the molars. And of course the pioneers take all the arrows. Fred struggled getting jobs. There was a lot of push back in the early years. The same folks who previously did not believe websites made sense were now adverse to video for similar reasons. The issues with the technology made it less than attractive. Agents did not have the patience to support their sellers and their buyers when they had issues watching video on the web. Times were tough for Fred’s fledgling video business. But that was all about to change. Along came Adobe and their Flash Format. Hello YouTube. Goodbye QuickTime, Windows Media…all of it. There’s a new sheriff in town and he’s taking over. Flash changed everything. A single format for all videos compatible on just about every machine. What a change. Dinosaur extinctions used to take millions of years. Now they happen almost overnight. For the next several years, Fred slowly built his real estate video business, gaining a reputation so strong that jobs landed at his feet with little to no effort. Well, other than the small feat of innovating and producing high volumes of exceptional video. He’s an early technology adopter when the technology makes sense. In fact, he seems to have a knack for it. Fred’s a certified pilot – not the kind of plane that lifts people off the ground. He’s a certified drone pilot – that’s the kind with an HD camera. Almost all of his videos now contain video from the air. While on the subject of technology, I asked him if 360 video has a future in real estate video. He was quite adamant when he said he did not believe it would. He pointed to recently failed technologies like home theater 3D. Not everything new and cool at first glance will be successful. I also asked Fred if he could estimate the percentage of properties for sale using video as a sales tool. I was a bit surprised when he told me it was under 10% – closer to 5% he thought. And he does not see significant growth in the near future though he would not bet against it over the long haul. Fred loves what he’s doing and he sees no end in sight. 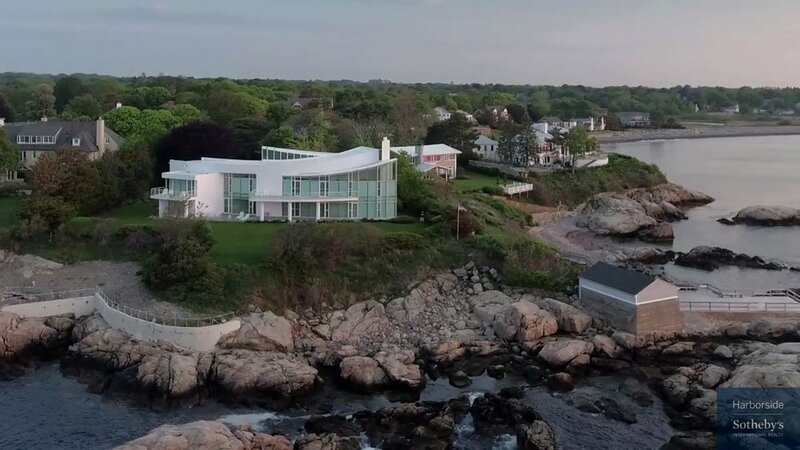 On a daily basis, he sees some of the most beautiful homes in New England. He meets some really cool people. And they pay him well for it. While Fred can’t imagine retirement, he does get rest and relaxation through extended trips to some very cool places. This winter, he’ll travel to summer in the Southern Hemisphere where he will cruise along the Antarctic coastline. Photography for Real Estate, a website devoted to real estate video, has quoted Fred Light on numerous occasions. He’s a celebrity in that community. His advice is always free and he gives it out whenever asked. It seems that when one is secure in the knowledge that you’re the best at what you do, giving out advice to help others, even to competitors, feels good. And when you’re a good guy, it just seems like the right thing to do.